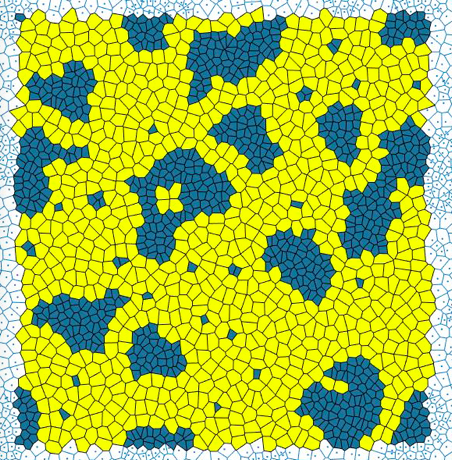 Unusually sharp interfaces between competing phases is a common theme in a diverse variety of non-equilibrium systems, from simple models of cells to animal flocks and swarms. 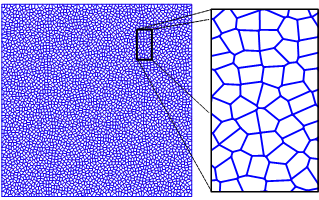 We are exploring the features that control this interfacial sharpening, in particular in systems in which the constitutive elements interact via topological, rather than purely metric, force laws. We are also studying cell sorting in 2D, to understand the role of cell shape, cell area, and heterotypic contacts in guiding segregation and pattern formation. Manning group participants: Daniel Sussman, Preeti Sahu.